Recent headlines casting doubt on the kosher status of Hebrew National at first came as somewhat of a relief. To those like myself who have avoided Hebrew National for years – first because they never allowed outside rabbinic supervision, but did all the supervision themselves, and then starting in the early 2000′s because they chose Triangle K — the lawsuit was a long time coming. However ironically, instead of the lawsuit bringing about any kind of justice, the big loser in the end might be the kosher consumer. When the kosher supervision industry – and there are many reasons to be skeptical – receives a blow to its credibility, it affects everything that is under kosher supervision, not just meat. This may mean fewer companies choosing supervision down the road and fewer choices. Triangle-K is a huge company. Sadly, unscrupulous companies and individuals have taken advantage of the consumer need for high level kosher supervision. As long as there is money to be made, there will be charlatans at play. Is Triangle-K one of them? It will be interesting to see how this plays out, to say the least. Hebrew National. Even the name sounds authoritative. 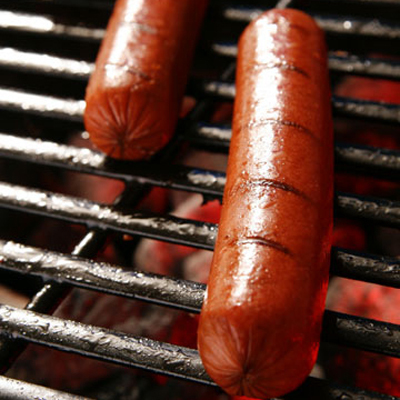 They have been named by Consumer Reports as the nation’s best tasting hot dog. They have won numerous other awards and accolades. They are feted as one of great kosher additions to modern American cuisine. However the “higher authority” they answer to might be called profits. If I were the lead attorney on this case I would not argue about something being “100% kosher.” Among kosher consumers there is no unanimity about what is 100% kosher at all. In fact, one of the arguments that defendants ConAgra can make is that they represented their “level” of kosher supervision honestly by employing the Triangle-K. The plaintiffs may need to show that Triangle-K were complicit somehow in fraudulently representing the status of their meat as complying with basic standards of orthodox supervision. >It’s not hard to detect — it’s impossible for a consumer to detect, which is why we rely on outside kosher supervision for meat. This last phrase really applies to the entire kosher industry. How DO we know that what is passed on to the consumer is really kosher? We don’t. On the part of the consumer its 100% faith unless the product itself doesn’t need supervision in the first place. Stay tuned, this one will get interesting. In the meantime, pass the mustard, these soy dogs really need some added flavor. I enjoyed this article Rabbi Yonah, but in all sincerity, God knows your heart. If you accidentally eat trife food, the Bible says, “It is not that which goeth into the mouth that defileth the body, but that which goeth forth from the mouth”…Hasheem bless you with Shalom.